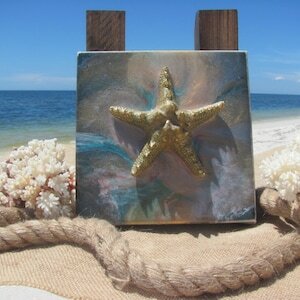 Original one of a kind Starfish painting. 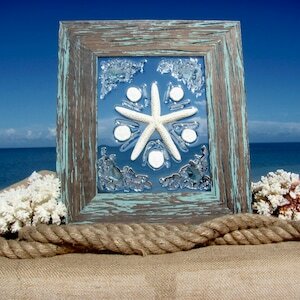 Bring the sparkling beauty of the ocean into your home with a original coastal artwork by Anita Ann Johnson! 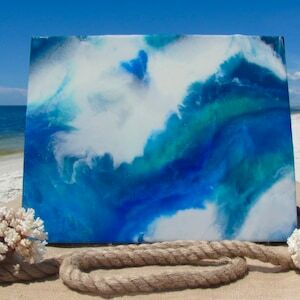 This lovely painting has iridescent golds, shimmering blues, and luminous turquoise colors. 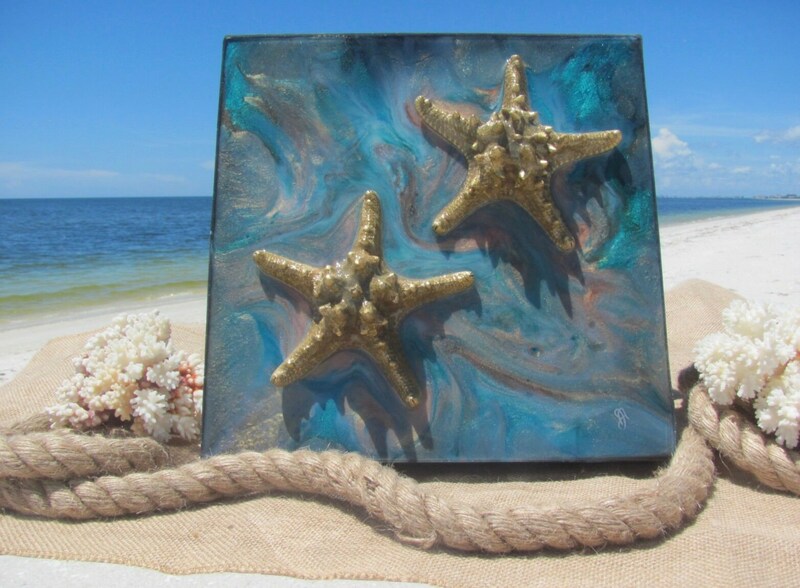 I am calling this particular series "Starfish Tide Pools". 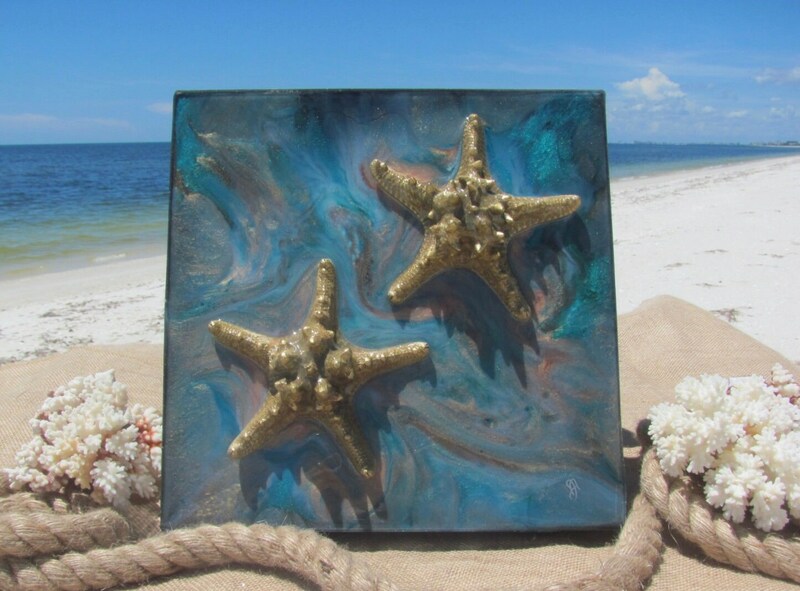 This painting is hand painted on a 12x12 gallery wrapped canvas, and embellished with real starfish that are preserved in resin. Every artwork is signed by myself, the artist. 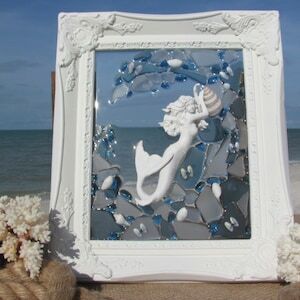 No two works of art are the same; this piece is truly one of a kind.